Stackie Mod 1.12.2/1.11.2 for Minecraft increases the number of blocks that you can throw to the ground at one location to the maximum of 127, and the maximum EXP is 1024 points (around from level 1 to level 32). A particular example of the discomfort when playing Minecraft is when you throw the item to the ground, they will scatter everywhere. This problem causes the annoyances for the players because no one likes you throw the rubbish to outside and they are everywhere that sometimes collecting wrongly. Probably, we should stop debating and find the mods which can solve this trouble such as Stackie Mod. 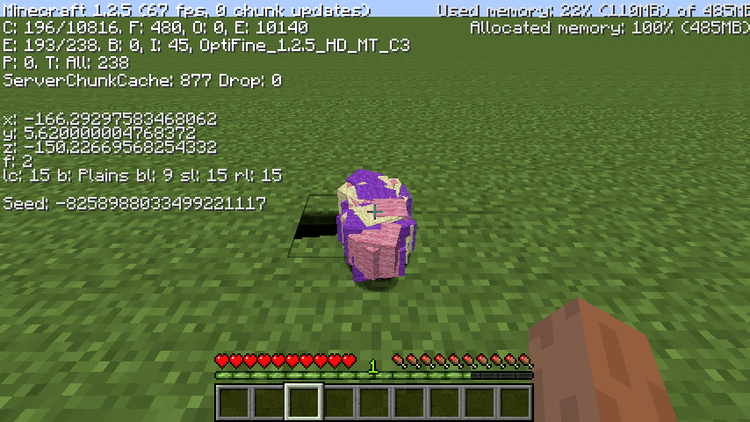 With Stackie Mod, when throwing the item outside, they will pile up together at a tidy location (with original Minecraft, 127 items are the limit) with the number of EXP stack will be 1024 EXP points. This mod is attaching with one file config for you to easily edit the ratios (for example, the extent of items can throw at one position, etc.) and it is easy to install. However, you should install LunatriusCore Mod before installing Stackie Mod. Download Forge Installer, LunatriusCore, and Stackie-Mod. Put jar file of LunatriusCore and Stackie into mods folder and then run Minecraft. Done!